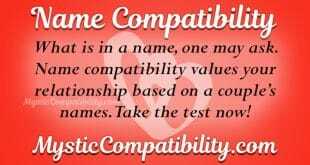 Name compatibility values your relationship based on both your names. Virgo man is more down to earth, but he still loves to go on adventures with the Aquarius woman. 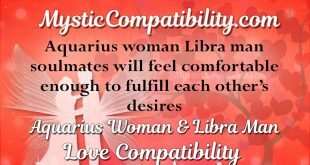 Aquarius woman Libra man soulmates will feel comfortable enough to fulfill each other’s desires. 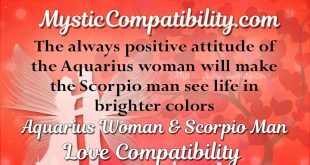 The always positive attitude of Aquarius will make the Scorpio man see life in brighter colors. Aquarius woman Sagittarius man lovers will feel comfortable in this company and enjoy meeting important people in each other’s lives. Aquarius woman Capricorn man soulmates respect each other a lot and try not to cross any boundaries. Aquarius woman dating Aquarius man can share the most intimate details about each other and know that the secret is safe. Pisces man is also a mutable sign and he will understand Aquarius need for change. 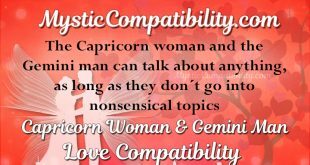 When the Capricorn woman Aries man first meet, Aries man will be intrigued by the shy and quiet Capricorn woman.